The 2018 Chrysler from Briggs Chrysler Dodge Jeep Ram in Fort Scott, KS, Serving Olathe and Kansas City, is the perfect combination of comfort and technology. The bold, attention-grabbing grille looks great with the signature Chrysler badging. You can choose between nine different wheel designs in four different sizes for added customization. 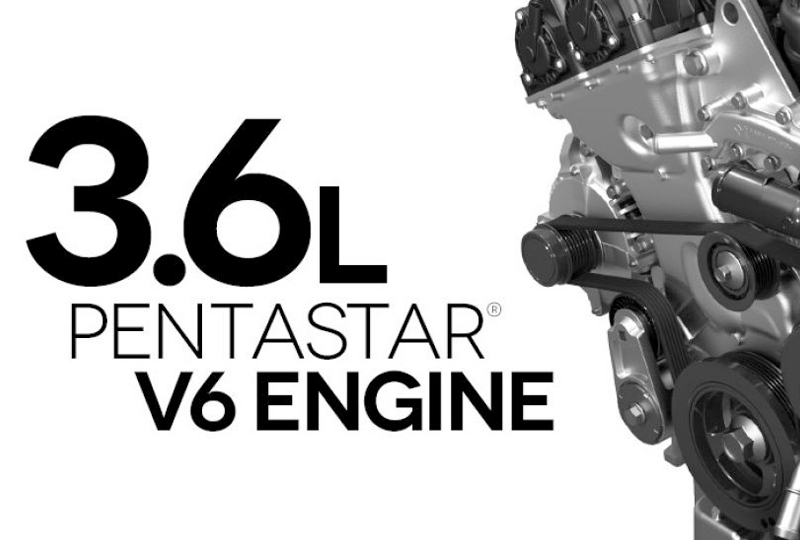 The 3.6L Pentastar V6 is an award-winning engine that pairs up well with available all-wheel drive for added traction and control. 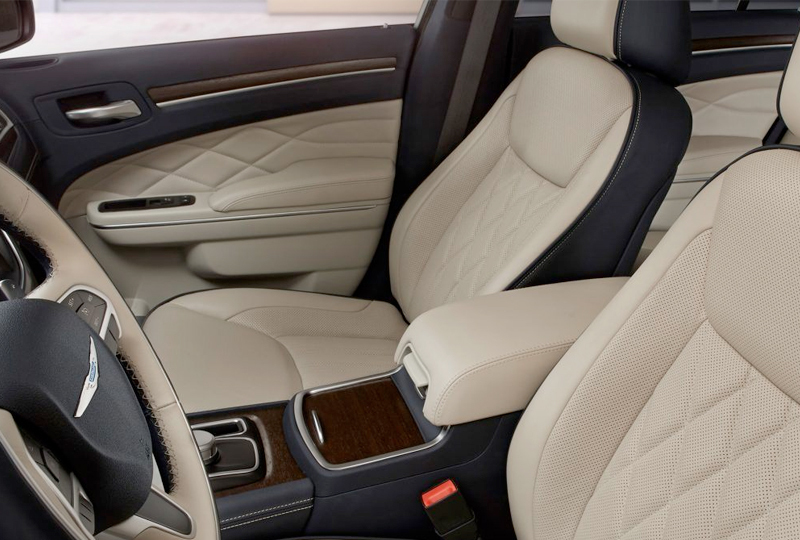 There are 14 interiors to choose from, including premium cloth and fine Nappa leather selections. A standard leather-wrapped steering wheel accompanies every cabin and features mounted controls for audio and voice command. The Uconnect 4 system provides standard Bluetooth and an 8.4-inch commanding screen for controlling multiple entertainment features. The time to buy a new Chrysler is now. We have a great selection of 2018 models and unbelievable deals. Call us at 888-325-7339 to schedule your test drive, or stop by the dealership located at 1819 S Main Street, Fort Scott, KS. We can't wait to send you home in the new 2018 Chrysler 300 you've always wanted! The Chrysler 300, with its award-winning standard 3.6L Pentastar® V6 engine and eight-speed automatic transmission featuring 30 highway mpg6, will inspire you to take the scenic route. 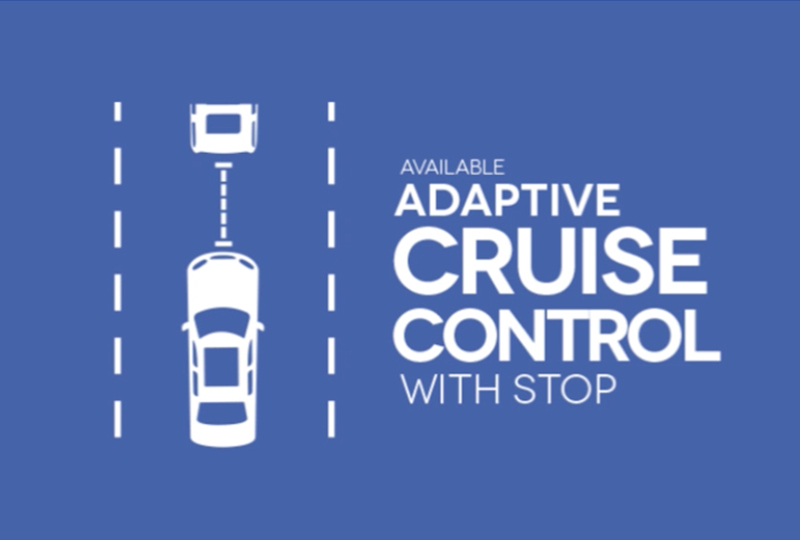 Available Adaptive Cruise Control with Stop8 manages the brakes and throttle to keep a desired distance from the preceding vehicle and can even brake to a complete stop. For exceptional convenience, SiriusXM Guardian™15 connects you to your vehicle in a multitude of ways. With greater remote access and control, help is there when you need it-from Roadside Assistance Call16 and SOS Call17 to Navigation features to security alerts-all right from your touchscreen. 6. EPA estimated 30 hwy mpg with 3.6L engine and eight-speed automatic transmission. Actual mileage may vary. 8. This system is a driver's convenience system, not a substitute for active driver involvement. The driver must remain aware of traffic conditions and be prepared to use the brakes to avoid collisions. 15. All SiriusXM Guardian™-equipped vehicles come with a 12-month trial effective on the date of purchase or lease of a new vehicle. Enrollment in the trial is required to receive service. Upon expiration of the trial period, purchase of a subscription is required to continue SiriusXM Guardian. 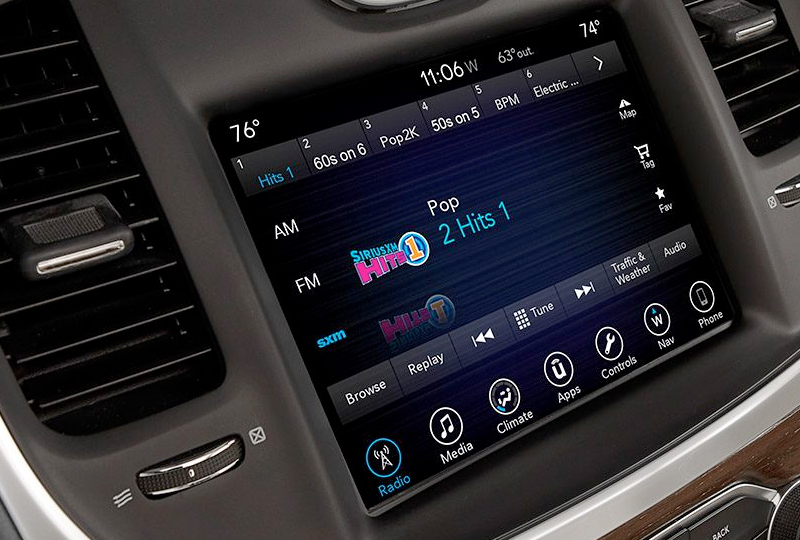 SiriusXM Guardian is available only on equipped vehicles purchased within the United States and Puerto Rico. Services can only be used where cellular coverage is available. See Uconnect® and SiriusXM Guardian Terms of Service for complete service limitations. 16. Roadside Assistance Call provides direct calling to Roadside Assistance Service. Vehicle must be within the United States, Puerto Rico or Canada and have network coverage. Additional roadside assistance charges may apply. Check warranty for details. 17. In the event of a medical or other emergency, press the SOS button to be connected to a Customer Care agent who can direct emergency assistance to your vehicle's location. 20. Always check entire surroundings visually before backing up. 22. Based on the latest available competitive information and the FCA US LLC Upper Large Car Segment.